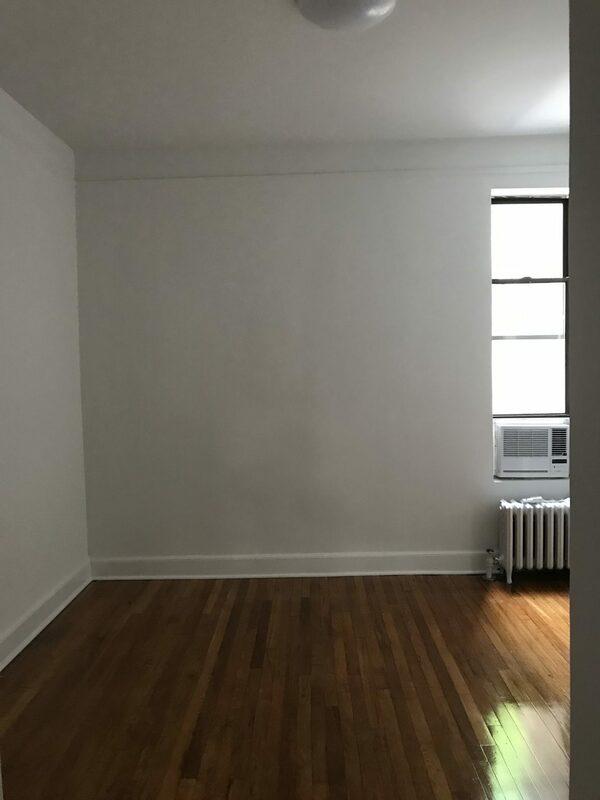 Here it is – the “before” of my new apartment. It’ll be a while before a completed “after” is created, but at the moment it’s already looking a lot better than it did here. I’m going to just share these straight up junky iPhone photos of before I moved in with you guys, then in later posts I’ll be talking about my plans/mile long to-do lists for each space, and I’ll share progress photos as well of how it’s looking currently. This is the living room, which is north-facing on a tree-lined side street. 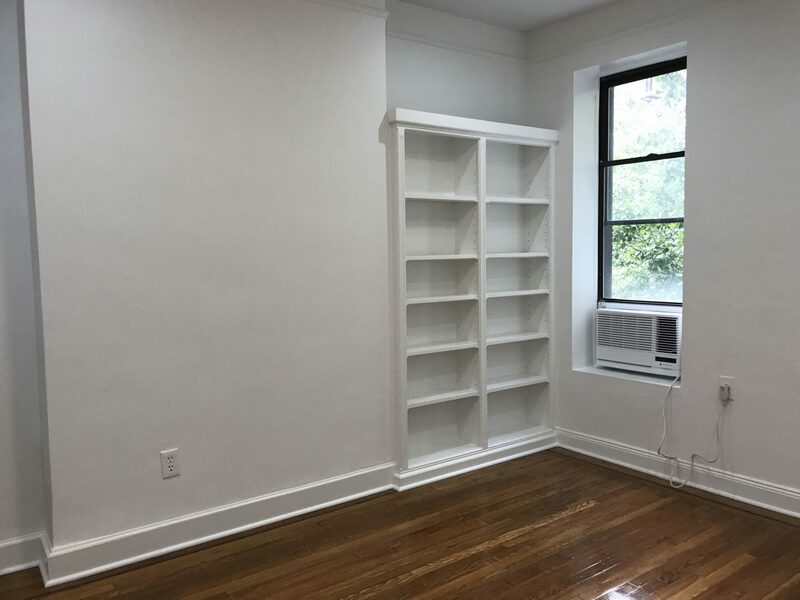 Pros: super high ceilings, the fun built-ins, the molding, decent natural light, and hardwood floors. Cons: it’s kind of narrow and definitely narrower than my old space – but since I’m no longer in a studio I’ll be able to get a longer couch – yay! Another con: bars on the right side window, as you can see in the first photo – these are there because that’s where the fire escape is, and they’re to prevent someone from climbing up the fire escape, breaking the window, and comint in and killing me – so thought they’re a bit of an eyesore I’m pretty fine with it! Haha. Also to be honest they’re not as ugly as some window bars – at least they’re white and have a decorative scrolly thing in the middle! Anyway lots of plans for this which again I will share in an upcoming post. Here’s the view from the living room, looking into the kitchen and the rest of the apartment. The front door is to the left, in the kitchen. 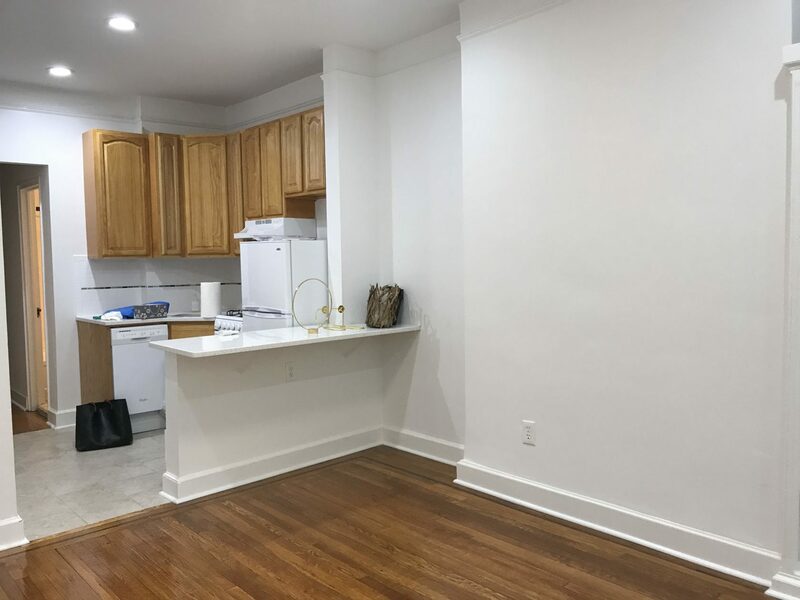 Pros of the the kitchen are that it’s an actual distinct space – I can’t tell you how many apartments I looked at online where the kitchen was literally just appliances against the living room wall. Like just a big empty room with a fridge and oven on one wall, like how your dresser would be. That was something I really didn’t want to have! So other pros are there’s plenty of counter space due to the breakfast bar there, which is also great to have because once I put stools there it will be extra seating…then also I’m glad the cabinets are actual wood and not that weird laminate stuff I had in my last kitchen. Also glad that the countertops are white…but most of all the biggest pro is that the appliances are brand-new. And having a dishwasher is a definite pro and not a given in a New York City apartment. Cons: there aren’t any drawers for silverware (but there weren’t in my last apartment either). There isn’t really enough cabinet space either, and the storage within the cabinets is configured in a less convenient way than in my old apartment. But overall, again I’m just thrilled to have a distinct kitchen space. Here’s the view if you’re standing by the built-ins, so you can see where the front door is. This is the view down the hall, from the kitchen – at the end is the bedroom, and to the right after the kitchen is the bathroom. Another great thing about this apartment is where the bathroom is placed. 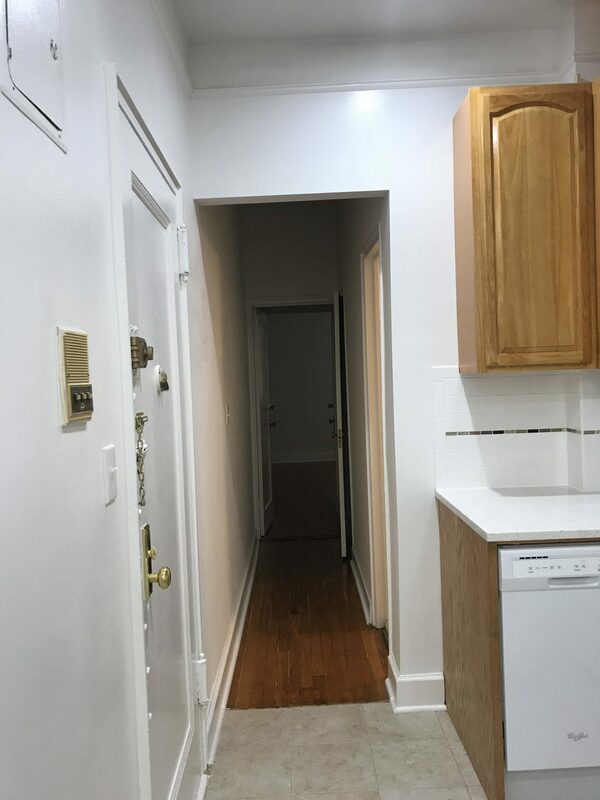 I’ll tell you another thing about New York apartments: most of the ones I looked at during my search have the bathroom right in the kitchen – so like, fridge, oven, and then next to that there’s a door, and that’s the bathroom. Which isn’t the absolute worst thing in the world but it certainly isn’t ideal, for obvious reasons! (and it would be awkward for guests if you were cooking). Another super common thing is the bathroom being off the bedroom, so you have to go through the bedroom to get to the it – again not the worst but potentially awkward for guests. Oh and then there was the one apartment I looked at where the shower was in the kitchen. Yeah, not exaggerating: the shower was IN the kitchen. So I got super lucky with this bathroom placement. (Brief interlude to apologize for how awful these pictures are). 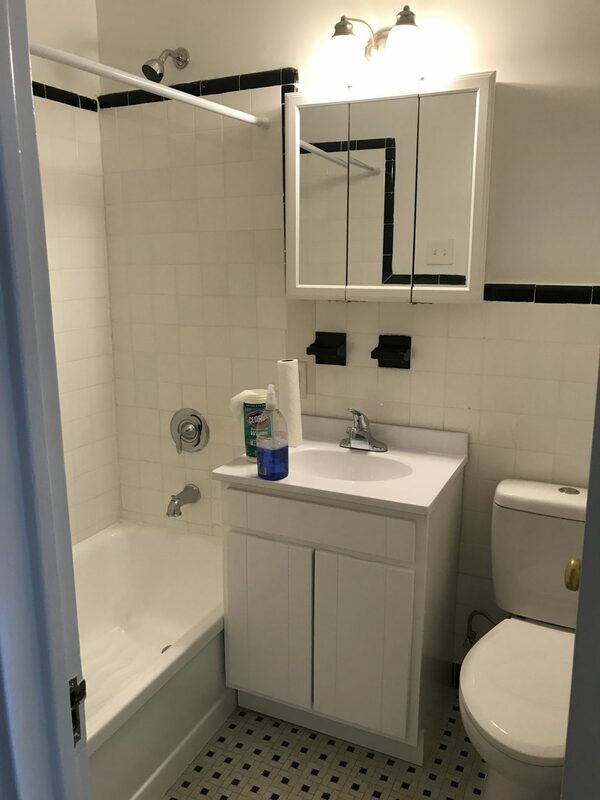 On the right is the bathroom – pros: full-size shower, exhaust fan, medicine cabinet and under-vanity storage, good color scheme. During my search I looked at two apartments in the same building. One of them had a full out powder pink bathroom – but I mean full out. Pink bathtub, pink tile, pink sink, pink toilet. Of course I’m probably one of the only people in the world for whom that wasn’t horrifying. The other apartment the bathroom was a little more tame – it had a lavender bathtub but the rest was white. How weird…I guess whoever did those apartments just really liked pastels! Anyway cons of the bathroom: it’s really tight in there (much tighter than my last apartment). I can’t have a shower curtain because as you can kind of see above, the vanity is right up against the tub – not even the tiniest space for a shower curtain to slide in. The tile is cracked, the light is super ugly, and there is very little storage space (easily rectified though). Oh I forgot the best pro though – good water pressure! Always have to check that. Oh another con – weird ugly gold towel rod behind the door. Next up: the bedroom. 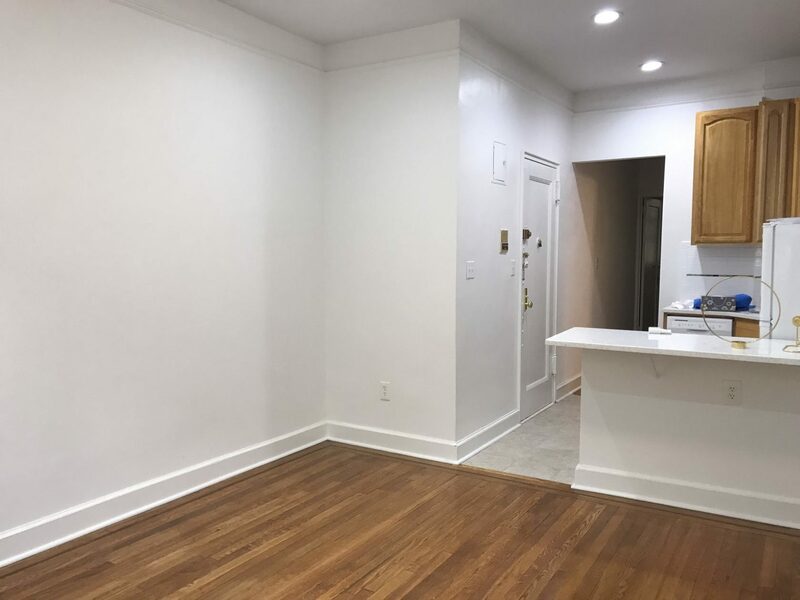 Pros are that it’s large, has an AC, and has two closets, plus the hardwood floors, high ceilings, and architectural details of the rest of the apartment. Cons: not much natural light, ugly light fixture. This is the wall next to the window wall and then the view looking back towards the rest of the apartment, plus the awkwardly deep and skinny closet (and tall) closet. The bedroom, though slightly unfortunate in its lack of light, is the biggest draw of the apartment for one simple reason. Unlike most NYC one-bedrooms in my price range, the bedroom fits more than a bed. I would say that about 85% of the apartments I looked at, the bedroom literally only fit a bed, maybe one nightstand or tall dresser if you’re able to squeeze it in. The fact that this is an actual bedroom capable of fitting multiple pieces of furniture is genuinely pretty shocking. This is the view back into the hallway. 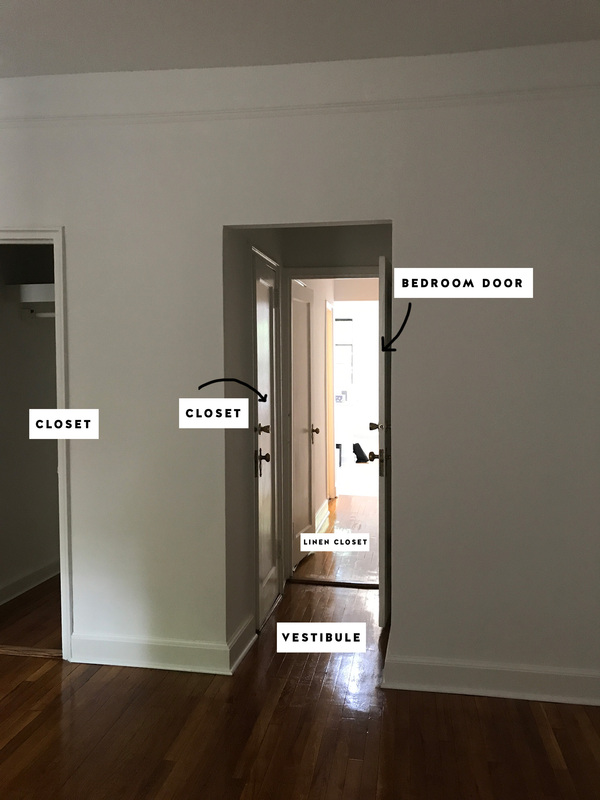 You can see how there’s this little…vestibule, I guess you would call it – a little hallway where the second closet is. So if I close the bedroom door, that little closet and vestibule are part of the bedroom, if that makes any sense. The right side picture is the linen closet. Major pro of this apartment! I didn’t have one in my last apartment. There ya have it – the grand tour! 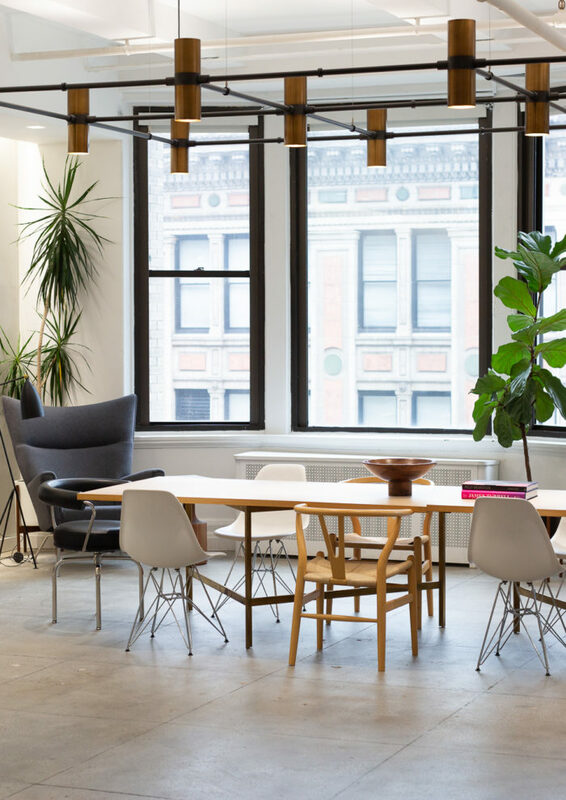 Can’t wait to share more about my plans for the space in an upcoming post! 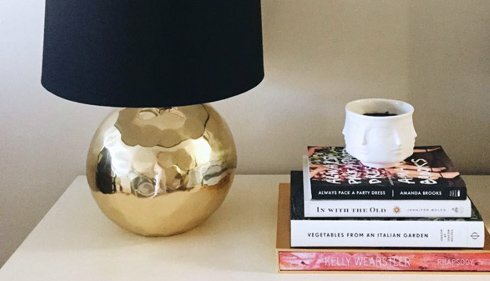 Can’t wait to see how you decorate and organize in your new apartment! I love the built-ins in the living room area – those will be fun to style! They’re the first thing I styled, hah! 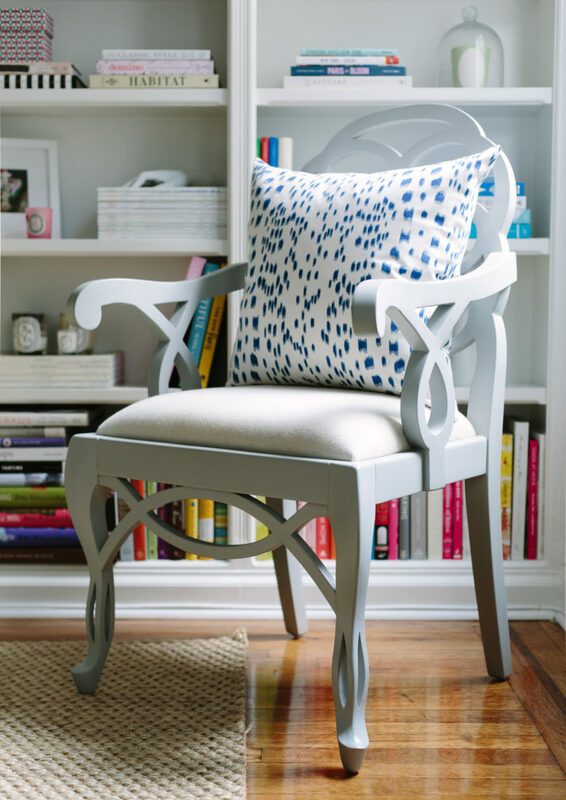 Can never get enough of bookshelves, and built-ins are so fun to play around with. I’m so jealous of your little bar counter! I’m picturing some adorable Serena and Lily stools there, haha. Hope to see more decorating posts soon! Wow, your place is amazing!! 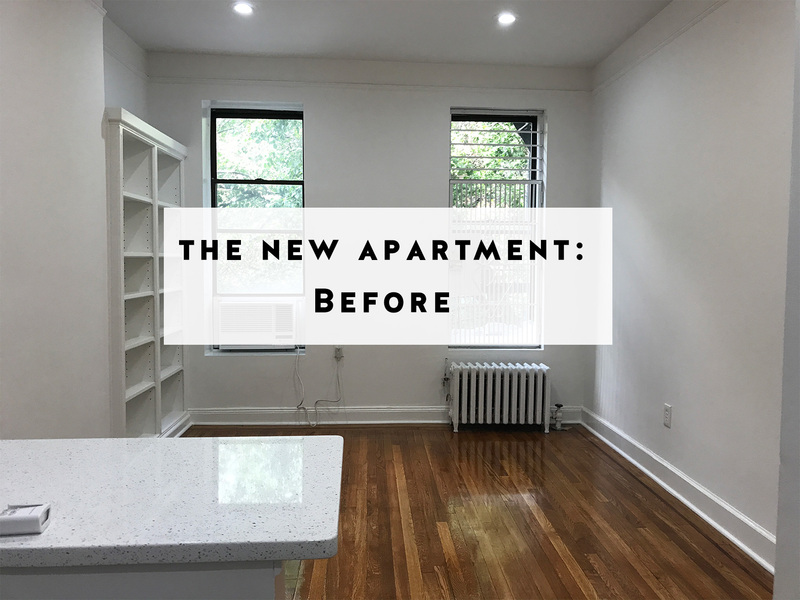 You really lucked out on finding a spacious and renovated space! You mentioned you can’t have a shower curtain due to the sink cabinet placement, but perhaps you can have your shower liner inside tub for full coverage and get a fabric decorative shower curtain hemmed to hit above the lip of the tub? Just a thought. I can’t wait to see the finished product! Happy decorating. Oh and I just noticed the shower rod is a tension rod (or at least it looks like one), so perhaps you could shift it up to a higher level and use a standard curtain after all?! Omg, you’re brilliant. I know what a tension rod is but having never seen one, I didn’t recognize that that’s what it is! I can definitely move it up (it’s oddly low). Thanks for the good observation! I’m excited to see the photos – I wondered what the new place looks like. Congrats! 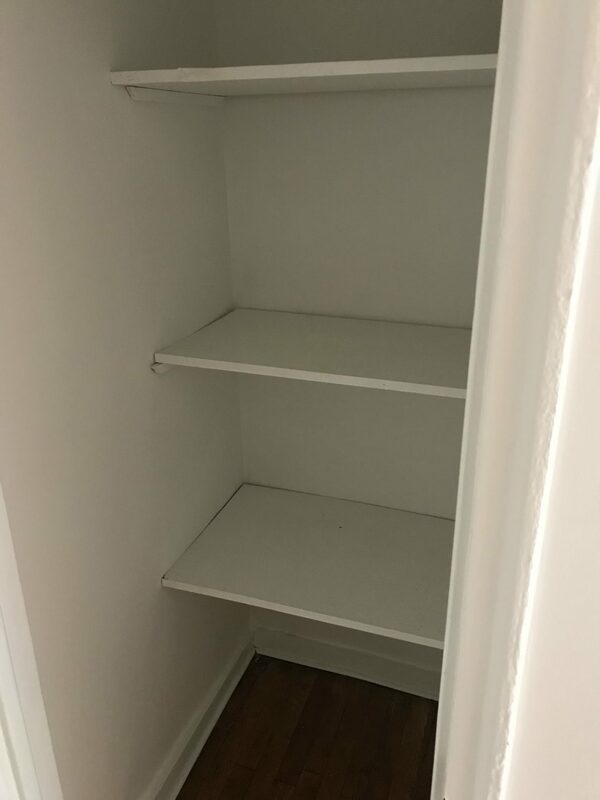 It looks like there is some decent closet space and all new appliances is great! Breakfast bar looks like it adds to your working counter space as well! Can’t wait to see how it turns out. Thanks so much Lauren! Definitely happy about the big breakfast bar. By time you get done with this apartment they’re going to be paying you. I have all confidence that this space will be fierce looking. Congrats on your new digs. The new place looks really great and I can’t wait to see how you decorate it. When you were talking about seeing a shower in the kitchen, I was nodding along. I’ve definitely seen that too when I’ve been apartment hunting! Thanks for sharing, Jackie. 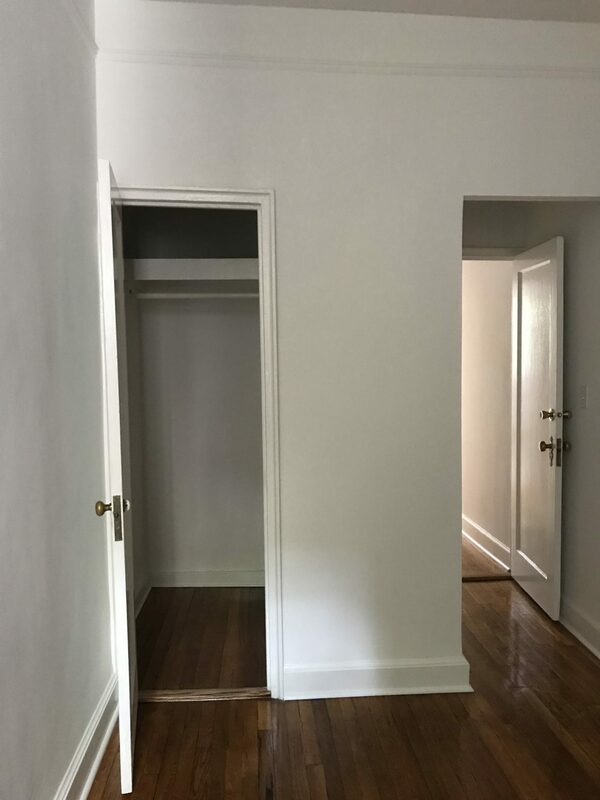 I am interested to see what you do with the space. Are you allowed to paint? I was born in Greenwich Village and my family migrated up to the Bronx in 1975 after my Mom visited a friend and was amazed by how large Bronx apartments were compared to the railroad apartment we lived in on West 12th Street (my 80 some odd year old Uncle still occupies an apartment in the building). My family subsequently migrated to the NJ Shore in 1988, I returned to the Bronx in 1991 part time, and finally got my own apartment in 1993. Bronx apartments are HUGE compared to most Manhattan apartments. More and more people are discovering this phenomenon and…rents are tripling and quadrupling, sometimes legally sometimes illegally. My first apartment – a huge one bedroom on the 5th floor of a five story walk up – was $350 a month. My second apartment – an even bigger one bedroom than the first with an eat in kitchen, dining area w/ french doors, huge living room, walk in closet and gigantic bedroom and a bathroom with a humongous cast iron tub was $545 per month in 1996. Also, it was on the first floor which was great because I had two children by the time I moved into that space. Our windows faced west and the entire apartment would glow in the evening as the sun set. The Stella D’Oro bakery filled my home with the smell of vanilla, cinnamon and nutmeg every morning. It was heavenly. When we moved out, the landlord converted the apartment to a 2 bedroom and charged $1300 a month rent. I finally purchased my first two bedroom Coop in 2004 (maintenance $775), then a three bedroom in 2005(maintenance $1226), then another three bedroom with a terrace in 2013 (maintenance $1500). 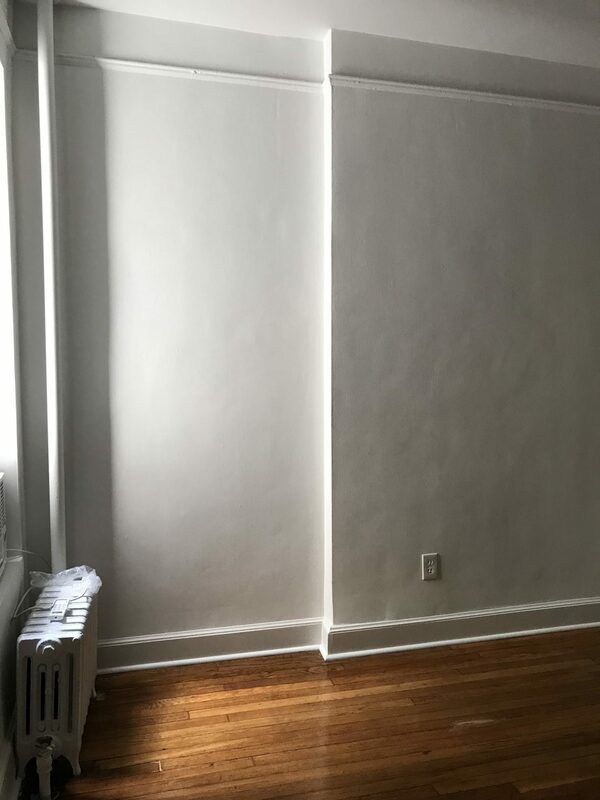 To be honest, I loved my pre-war apartments so much more because of the crown moulding and hardwood floors throughout, as well as the marble details in the lobby. 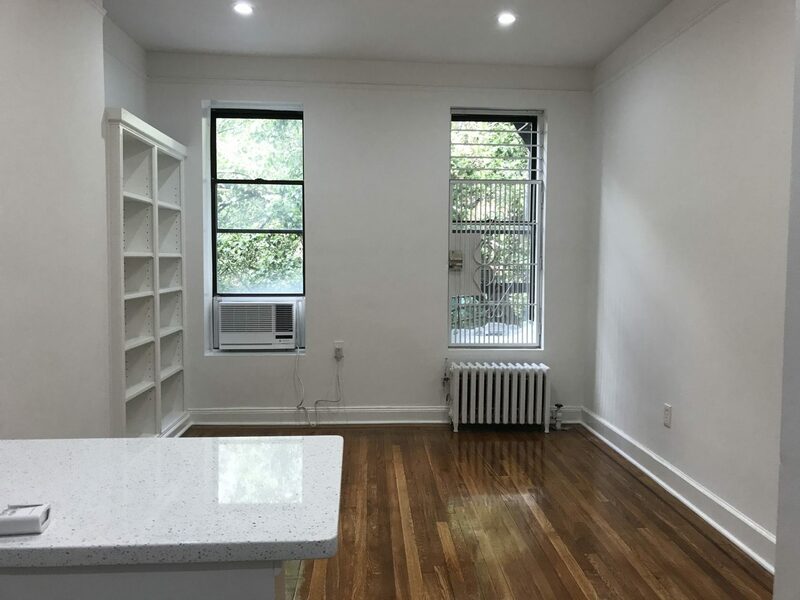 I am happy that you love your new place, but I am also really sad for anyone who has to pay ridiculously exhorbitant rents in NYC, Brooklyn, Queens and now even THE BRONX. Housing is becoming more and more unaffordable for working class singles and families in NYC. A shower in the kitchen sounds like a modified tenement apartment! Glad you chose this apartment. Thanks for your comment! 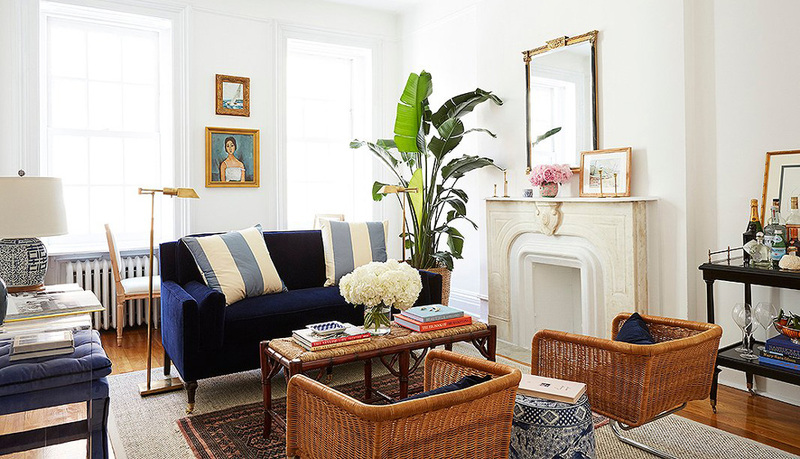 Your pre-war apartments sound incredible (um, living over a bakery = dream). And you’re right – New York City is completely unaffordable for so many, and barely affordable for most of the rest! It’s not an easy place to live, and I think that’s one of the biggest reasons. It’s just one of those facts of living here that I try not to dwell on (though it’s hard! ), because it certainly isn’t going to change. I guess there are some gems out there though, rent-stabilized and such, if you’re willing to search and have the time to do so. And I guess living here makes it worth it? Haha. 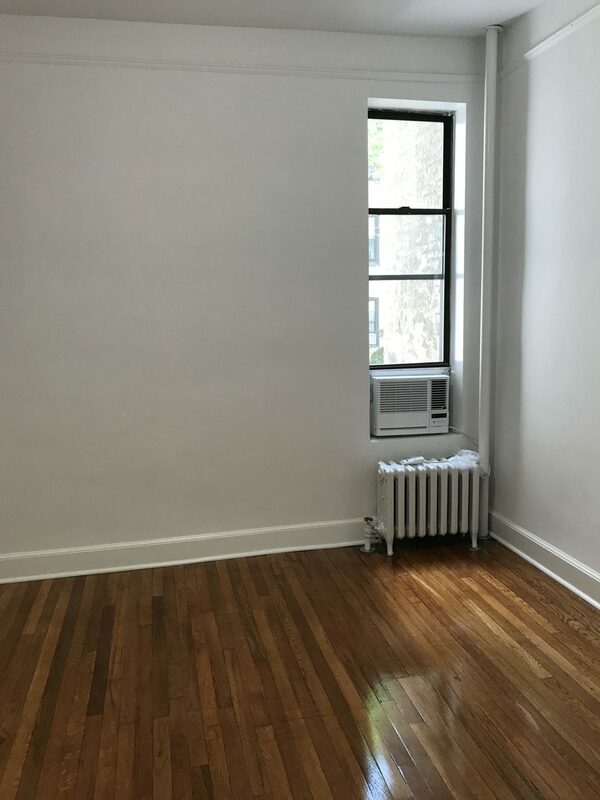 Anyway excited to work on the new apartment – thanks! Awesome apartment! Re: the shower curtain. I had the same issue at my last apartment, and I had a shower curtain + liner. When fully closed, the liner would fully enclose the tub and the outside shower curtain would just pool at the edge of the vanity. It looked totally fine and was functional! Good idea – I had mine like that but it was also too long and dragging the floor, so it looked super messy – if I get one that’s the right length that could definitely work – thanks!